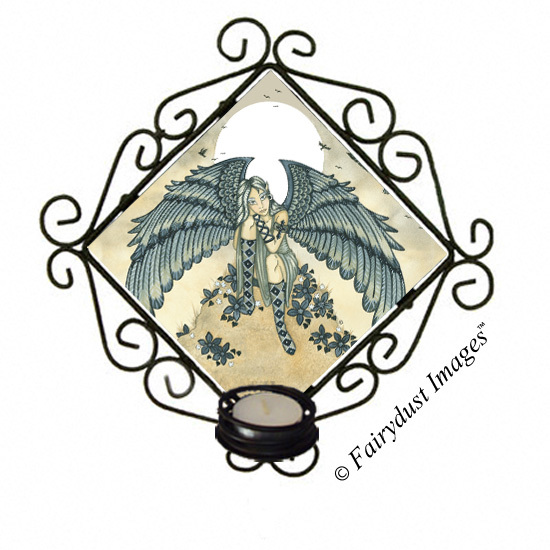 Welcome to the gallery of tile candle sconces! 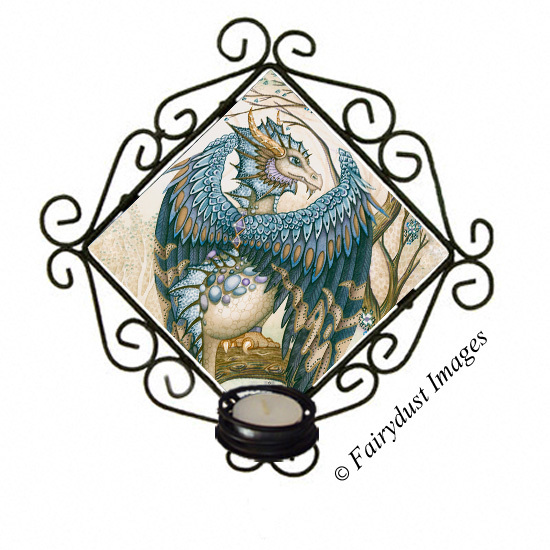 These wrought iron sconces are absolutely beautiful! 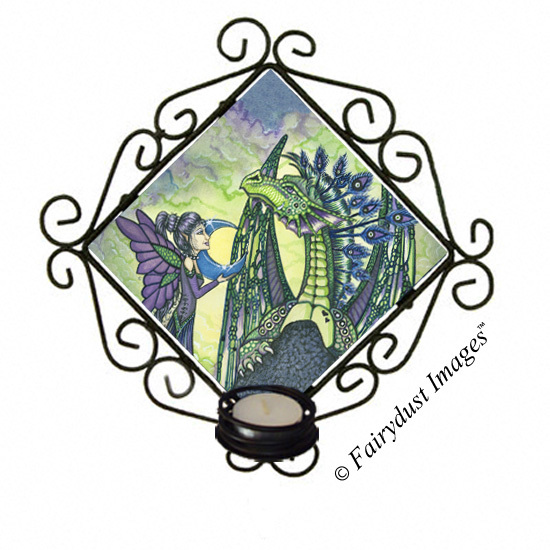 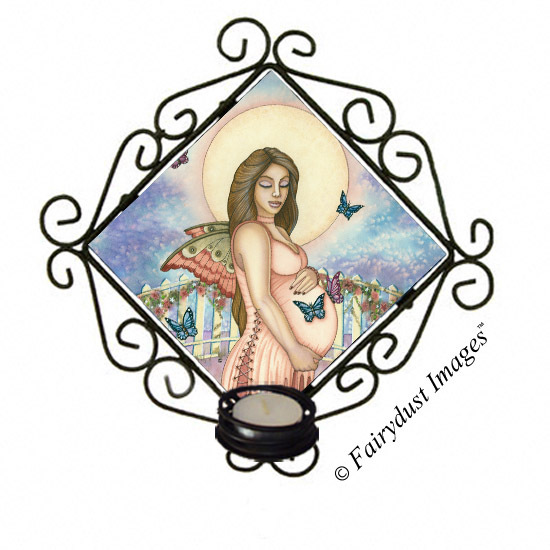 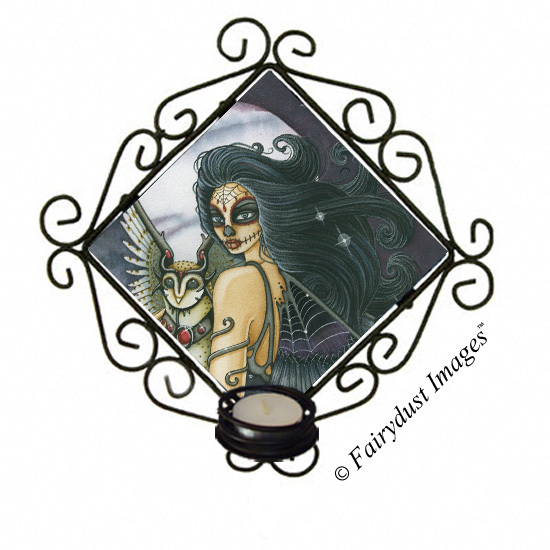 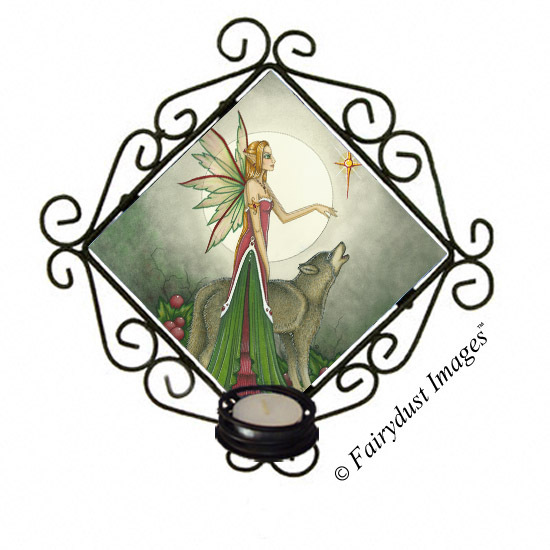 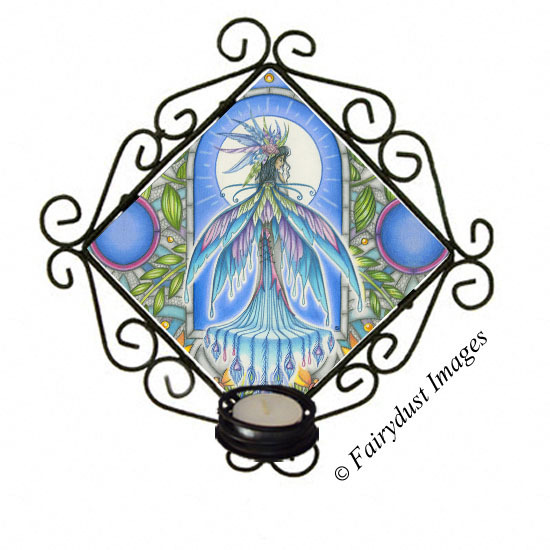 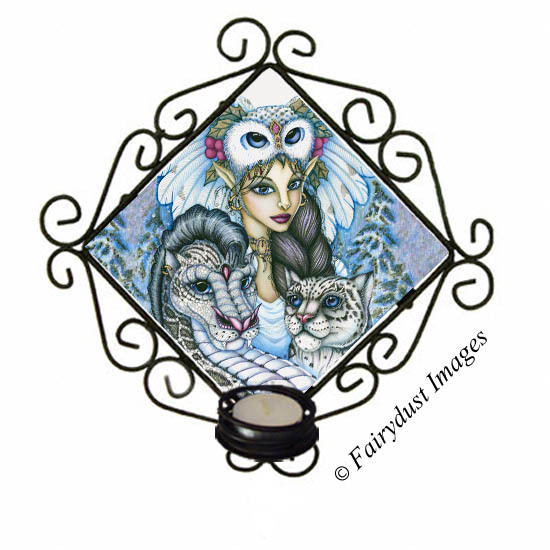 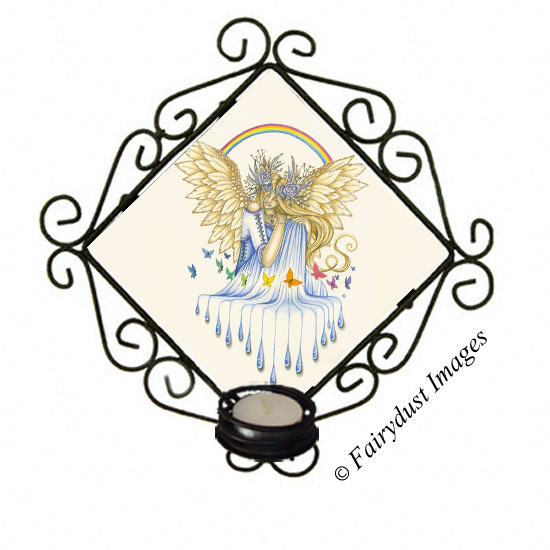 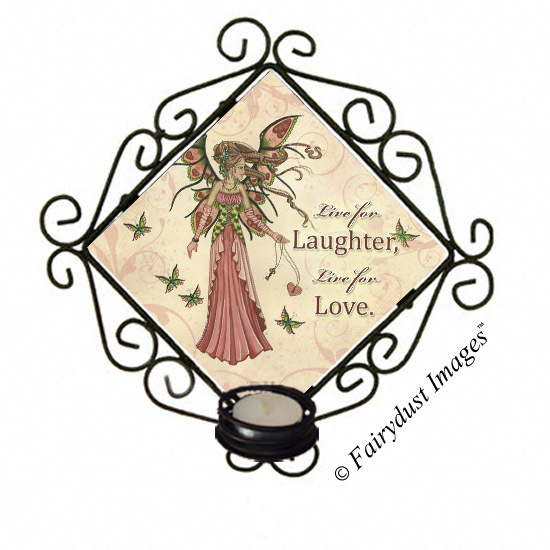 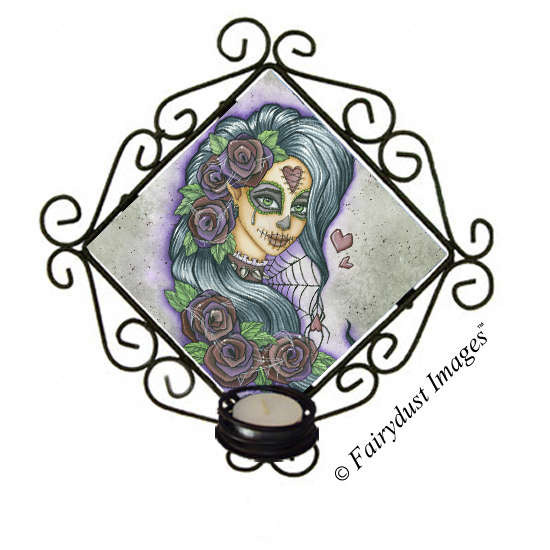 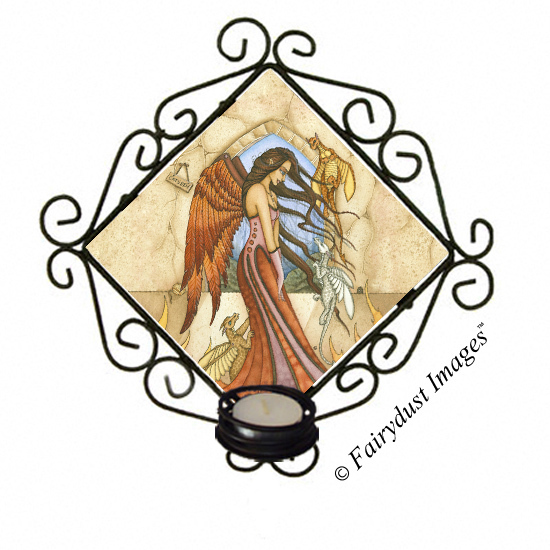 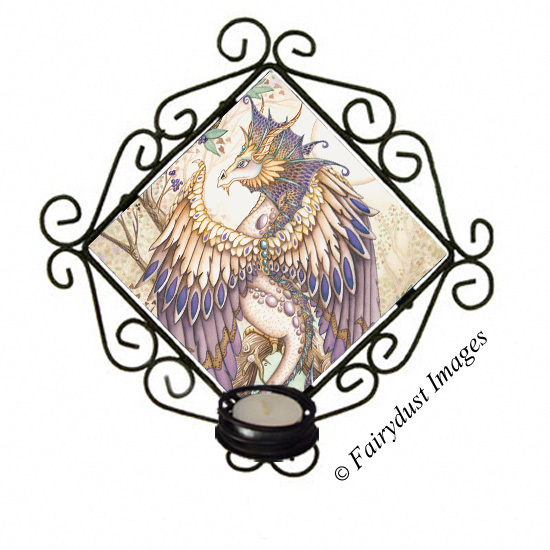 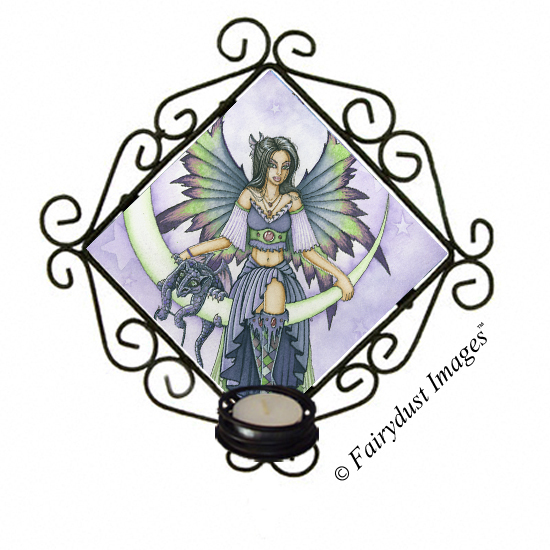 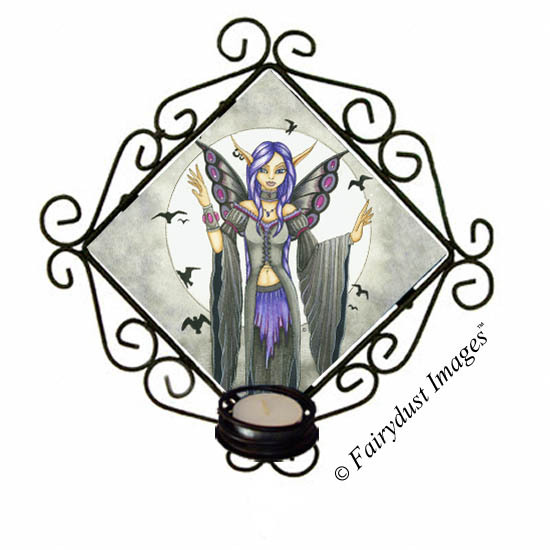 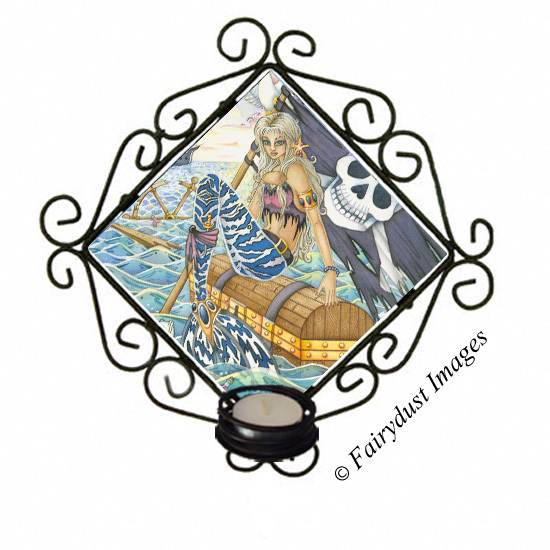 They are perfect for decorating any room and makes a great gifting idea for those fairy and fantasy art lovers in your life. 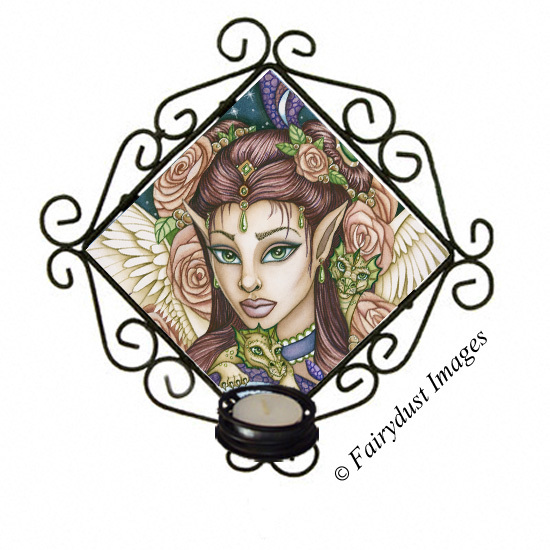 The ceramic tile of the sconces have been designed and printed by me, the artist, from a scanned image of my original artwork. 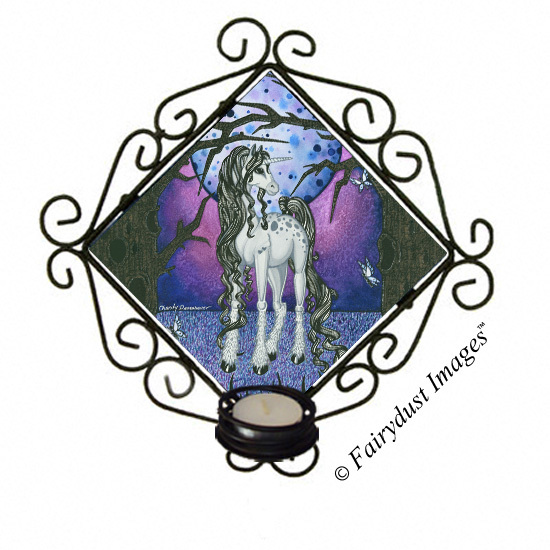 These sconces are made to order, so please allow me up to 7-10 days before your item ships out from my art studio.